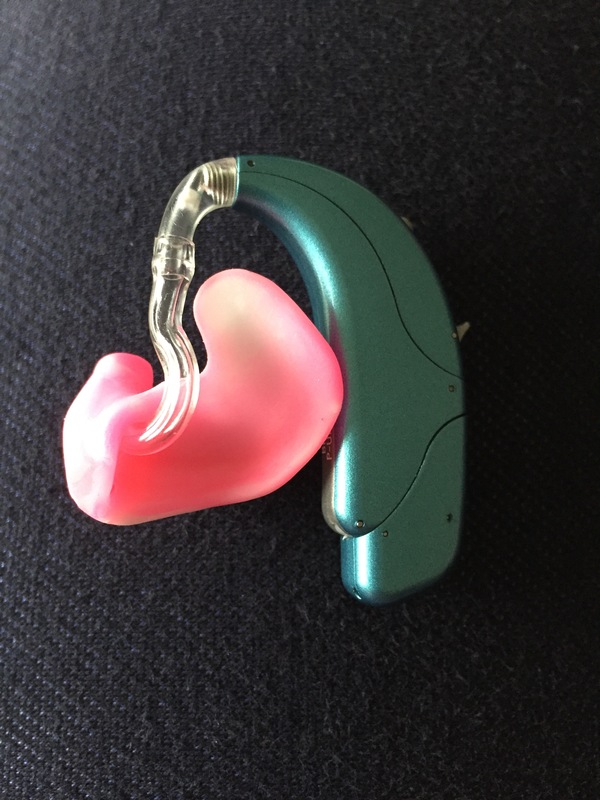 Loving my new soft ear moulds. Haven’t had soft ear moulds for close to 10 years! As you can tell from the pink, I’m female, lol! From what material are they made? I think cotton candy? But don’t quote me. I believe they are made of silicone. I have worn a pair (not pink but skin coloured) for close to 8 years and they last forever. Mold color goes nicely with HA color, too! That’s good to know they last a long time. @Gramps Is your soft mould, stained yellow? I’ve been told that soft moulds, turn yellow. Is that correct? @Zebras, is it your hearing aid? You have pretty good audiogram for trying small RITEs. My loss is purely conductive so require a lot of power. My BC results range from 0 dB to -10 dB. Yes it’s my hearing aid. Are both of your moulds pink? If I recall correctly, you were the one with the Jazzy bi-color aids with even jazzier bi-color moulds. Here’s my right side which is meant to be purple and white marble. This side is a hard ear mould. My pink mould is meant to be pink and white marble. I love the colour, but I’m gay. Actually they have become a mid-brown colour only where it touches the ear canal but the visible outer portion is still a pale skin colour and does not change. When they get a bit nasty, I detach them and drop them into a very dilute mixture of ammonia and water and leave them for an hour or so. It strips the wax right off the mould and out of the tube as well and does not do any damage that I have noticed. Then I blow all traces of fluid out with compressed air and dry everything thoroughly.